When news came out that Arc System Works was developing a Dragon Ball Z fighting game, a lot of fans mentioned that it was a dream collaboration. It’s easy to see why as the BlazBlue and Guilty Gear developer is a master of creating fast-paced, highly stylized fighting games. However, this isn’t actually the first time that Arc System Works has gotten their hands on the popular anime and manga franchise. Previously, the studio has made several DBZ fighting games, but they were all middling affairs that exclusively released on handheld devices. Their first console Dragon Ball game is much more promising, as I walked away very impressed after playing several competitive matches. 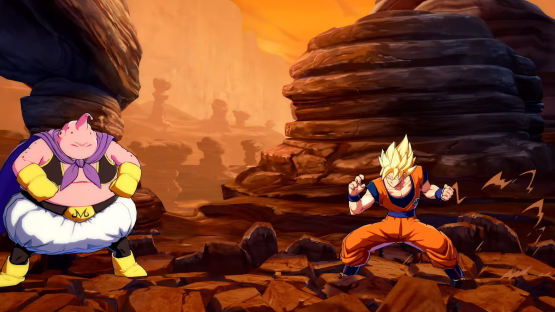 The biggest change from Arc System Works’ previous games is that Dragon Ball FighterZ features three-on-three battles. This means that a match only ends once an entire team has been knocked out by their opponent. A lot of depth comes out of this change, as players can tactically switch out characters as their health decreases. It’s important to keep extra characters alive as they can be used to do special “Z Assists.” These support strikes are similar to the assists seen in Marvel vs. Capcom, and have the character doing a special move then hopping out of the battle until they are called upon again. This establishes a fast-pace to the fighting, as characters are constantly rotating in and out forcing players to adapt their strategies. As far as the core action goes, Dragon Ball FighterZ has a lot in common with other Arc System Works fighting games. The standard light, medium and heavy attacks are present, but a fourth attack button unleashes special attacks. Similar to Persona 4 Arena Ultimax, there’s also an easy to access combo for each character that consists of hitting the same attack button repeatedly. This won’t be a tactic used by skilled players, as more devastating combos can be strung together, but it’s a great way to let beginners stay competitive. Most of the special attacks in the game involve doing quarter circle combinations. For example, a forward quarter circle plus the special attack button (cross on a DualShock 4) will unleash Goku’s Kamehameha attack. These moves are definitely useful, especially at range, but the real damage comes from unleashing the game’s super special attacks. These moves cost Ki to use (which works like a super meter), and often come with cinematic cutscenes. This meant when I unleashed Gohan’s Father Son Kamehameha, I got to see a brief scene that showed Goku working together with his beloved son. The short cutscenes are where the game shows off its impressive visuals. 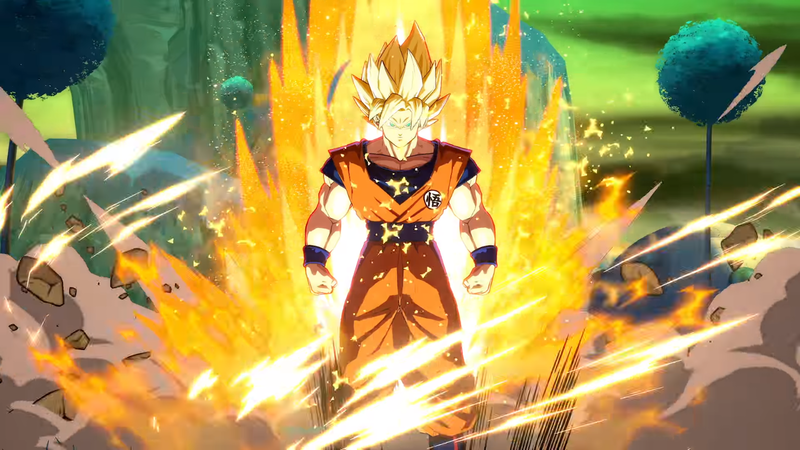 Despite looking like a 2D fighter, Dragon Ball FighterZ is actually a fully 3D title powered by Unreal Engine 4. It’s not the first time that Arc System Works managed to pull off these graphical tricks, but it’s even more impressive here than in Guilty Gear Xrd. It truly looks like the player is watching a fight out of the anime at times, and that is no small feat. Six characters (Goku, Gohan, Vegeta, Majin Buu, Frieza and Cell) were in the build I got to play, and I managed to put in some time with all of them. Despite having very different special moves, most of the inputs were the same for the characters. This leads to a pretty accessible fighting game where knowing what the characters do is the focus, rather than having to memorize complicated inputs. This makes a lot of sense when you think about the casual market that Bandai Namco is hoping to reach. Since it is a Dragon Ball game, there’s also a big focus on mobility. By hitting the right trigger, players can use a special homing dash that’ll avoid Ki attacks. That’s not all, as they can also do a warp attack called Vanish that has players teleport behind their opponent and land an attack. That costs a guage of energy, though, so it’s important that these special moves are used in moderation. Dragon Ball FighterZ is set to release in early 2018 for PlayStation 4, Xbox One and PC. Previewed on Xbox One.